World renowned author, activist and Chicago native Sandra Cisneros will join Nely Galán at The Adelante Movement: Tour Chicago and share her experience and wisdom on finding your inner voice. “The House on Mango Street”, won the Before Columbus Foundation's American Book Award in 1985, and is required reading in middle schools, high schools, and universities across the country. Her books have been translated into more than a dozen languages and have sold millions of copies. 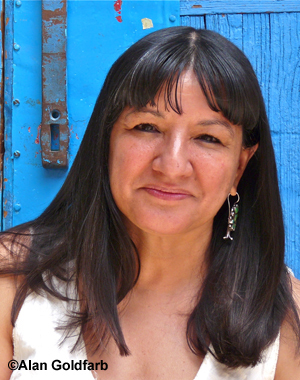 Sandra has been the recipient of numerous awards, including the MacArthur Foundation Fellowship, and subsequently organized the Latino MacArthur Fellows — Los MacArturos — focusing on community outreach. Join us for this amazing free event. Seating is limited and on a first-come, first-serve basis. Click here to register today!